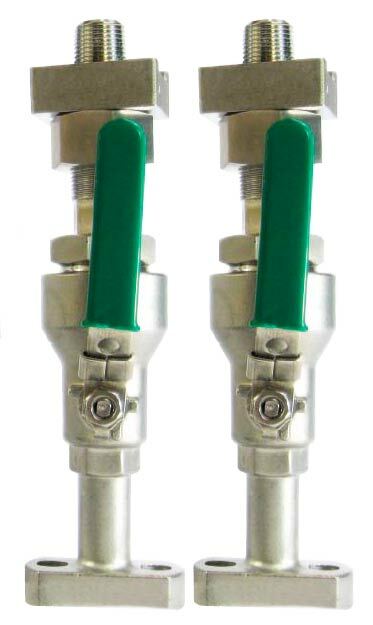 Stabilized taps provide a means of transferring the radial load away from NPT type threads. This results in a much stronger joint between the pipe thread and the orifice fitting. 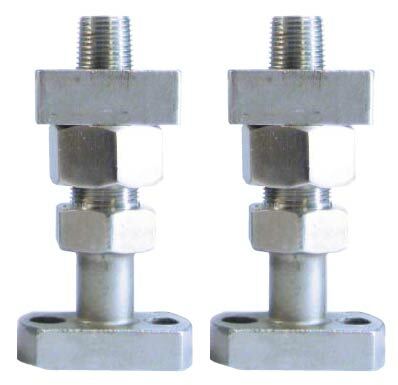 Eliminates the tendency for a leak to occur between the pipe thread and the orifice fitting. 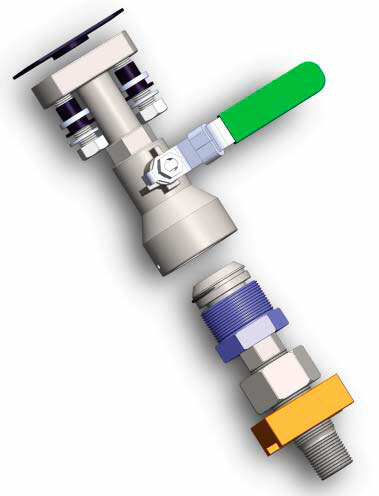 These taps come with all the parts necessary to fit both orifice fittings and orifice unions. The shoe is employed to create a larger flat footprint for the stabilizer nut when used on the curved surface of orifice flange unions. 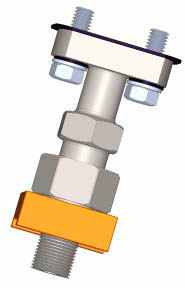 A dielectric kit composed of a spacer and bolt bushings is included to provide a non-conductive barrier between a flow computer and meter run.